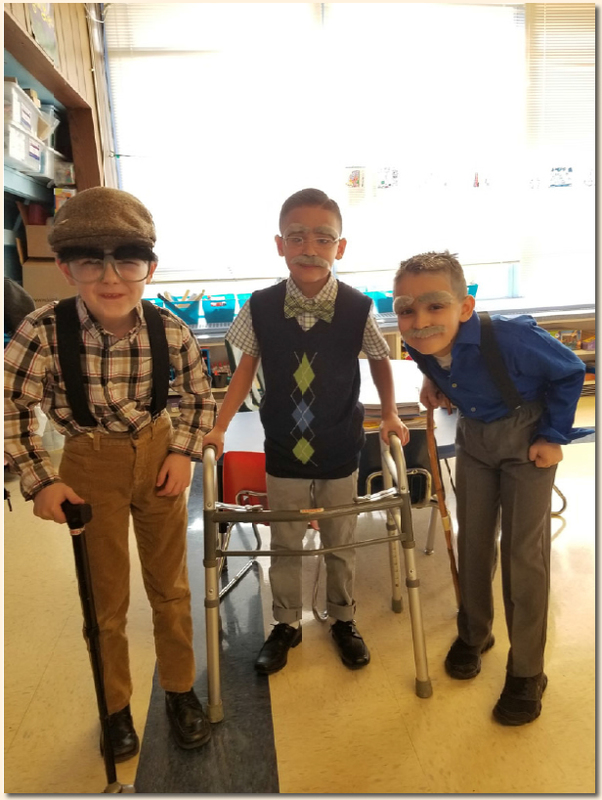 dressed as 100 year olds to celebrate the 100th day of school. playing her violin for her class. She did a beautiful job. 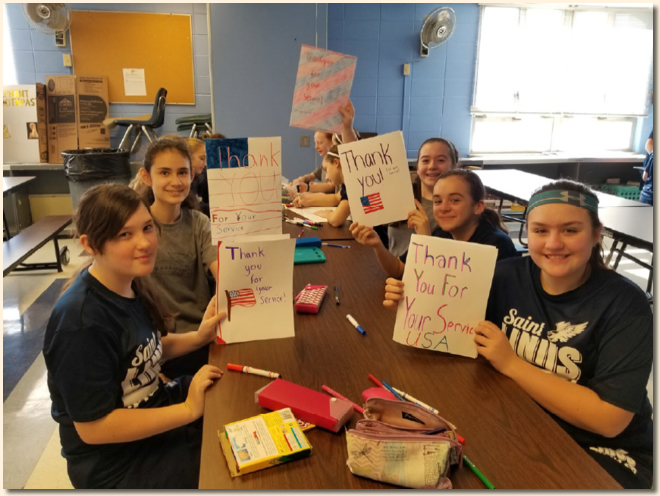 was to write thank you cards for our servicemen. 7th Grade took on this worthy project. 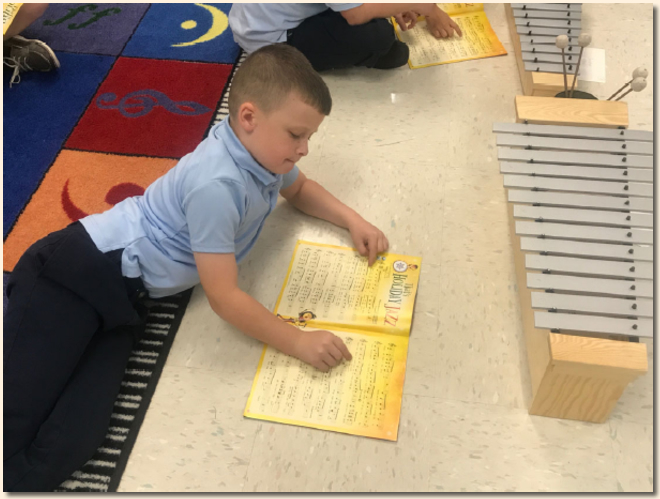 Here is 2nd Grader Rian Norris in Music Class. Here he is learning how to read music before he starts to play his xylophone. 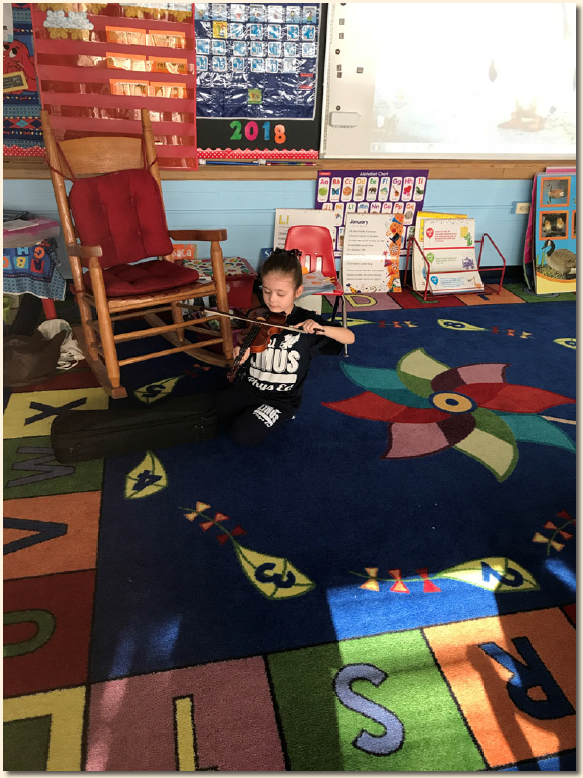 The students enjoy singing, dancing and playing instruments during music class. and our team lasted almost until the end. 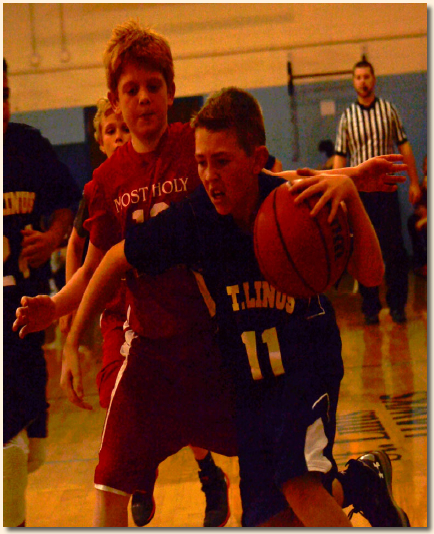 Here is Jimmy Lyons racing down the court to make a basket. Photograph courtesy of George Partin Jr. 7th Grade. 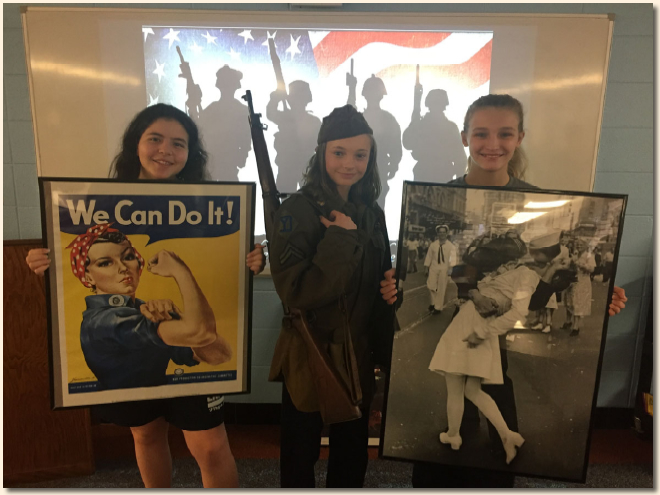 Dr. Stritch came by and gave a talk to the 8th Graders about WWII. wonderful and meaningful WWII memorabilia. where we invite Grandparents to our room to read to the children. 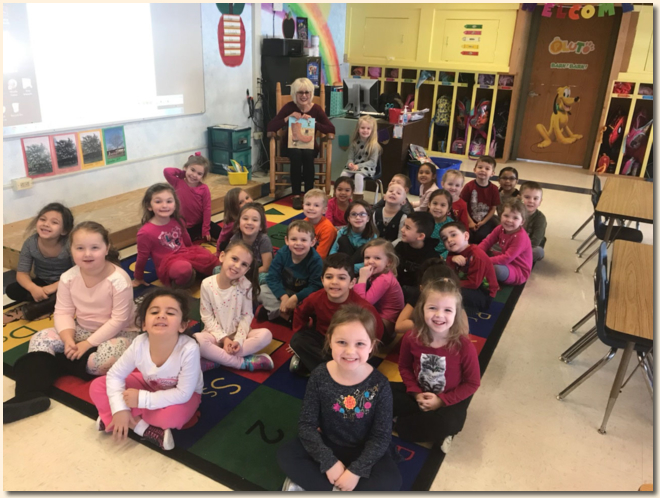 Elizabeth's Grandma was our first reader and the class loved her story! 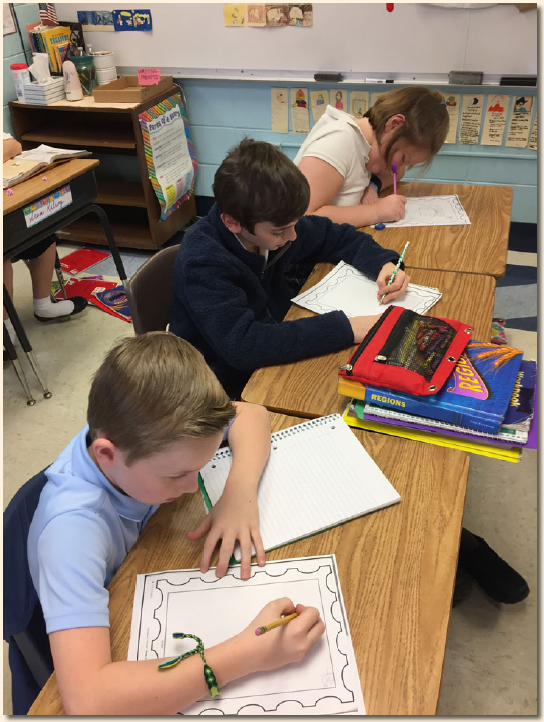 to honor the Cherokee people while studying the Southeast. Great job Anthony, Nick and Ellie! 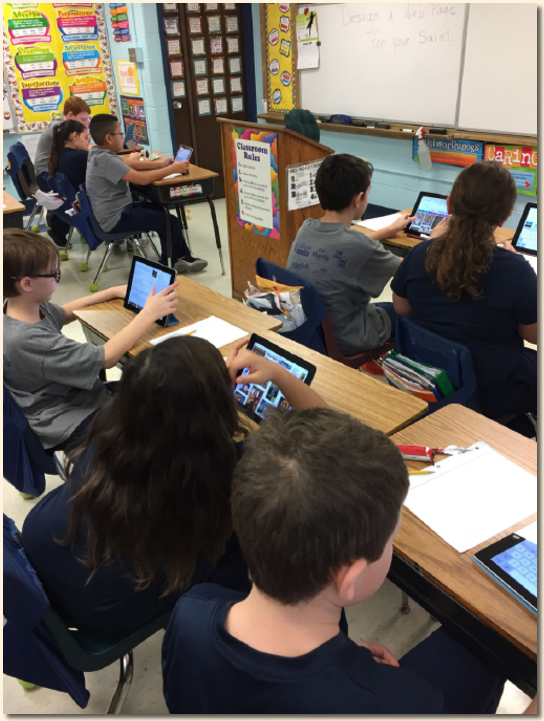 The fifth graders are using IPads to research their favorite saint. Then, they will create a web page for their saint. 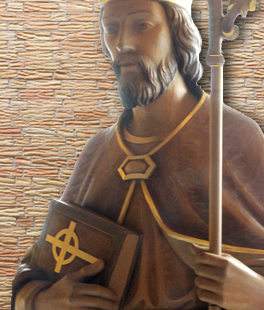 Did St. Linus make the cut?